Are you living in North County? You don’t have to trek down to San Diego to have a fit ‘n fun time with your furry best friend. Here are six ways you can get fit with your dog while staying relatively close to home. If your dog doesn’t do well on off-leash walks, you’re in for a treat. As part of Encinitas Community Park, the Encinitas Dog Park includes three fully fenced-in areas for off-leash play, and the main area includes a relatively flat walking path along the perimeter. That means you can walk your dog sans leash without having to worry about it head off on its own little adventure. I like to power walk around the path a few times while letting my dogs tag along, scout up ahead or explore the grounds. I also find it’s great park for dogs that are large and/or very energetic. There is quite a lot of space for playing fetch and running around. Plus, there’s always a good mix of other dogs for them to socialize with (it’s especially bustling with cuties during the pre-sunset hours). There are around 5 miles of easy hiking trails, with several decent hills for firing up quads, glutes and hamstrings. The Nature Trail is about .75 miles long and my favorite spot in all of San Diego County. Lot parking is $3 per car per day, but you can park free if you drive a little further down Guajome Lake Rd. Paved rail trails are a nice alternative if you want a break from dirt paths. Just make sure the pavement isn’t too hot for your furry friend’s paws! Early morning is the best time to go. The San Luis River Trail is a long and flat trail that runs several miles from the east side of Oceanside to the Pacific Ocean. It has 10 access points, including Neptune Way in Downtown Oceanside, Mance Buchanon Park off of College Blvd, and North Santa Fe Avenue/Highway 76. You can also connect to the trail from Guajome County Park via a short dirt trail and tunnel that runs under the CA-76. As a multi-purpose trail, it’s great for any kind of leashed fitness recreation you like to do with your dog: walking, running, roller-blading, biking, etc. Plus, it’s away from the hustle and bustle of motor traffic. Bonus: the trail has distance markers, so if you forget your GPS watch or smartphone, you can easily keep track of your mileage. Fresh sea air, sunshine on your skin, a sunset view – the Carlsbad Beach Seawall is the perfect place to wrap up the day with your dog. The paved trail runs 4 miles along and above the city’s beautiful sandy beaches and crashing saltwater waves. There are several access points on or near Carlsbad Blvd. However, I prefer to through the village drive to the Frazee Beach Park entrance (by Harbor Fish Café), then continue down the boulevard until I find a spot to parallel park. Surprisingly, this place is a mecca for squirrels and rabbits, so keep that in mind if you have a high-energy dog who tends to get spastic around little critters. So this one’s a little unconventional, but if you love antiques, treasures and rare finds, why not spend a weekend morning at this dog-friendly flea market? You won’t even notice all the daily steps you’re racking up as you wander around the merchant aisles and sift through the wares. The Oceanside Swap Meet is located in the parking lot of an old drive-in theater. (The movie screens are still intact, making it a pretty easy place to find.) It’s also located close to the San Luis River Trail, so you can park at one of the trail’s access points and stop off at the flea market during your dog walk. Sometimes rain happens here in SoCal. (Hello, El Niño). Are you looking for rainy day dog activities? Look no further than the nearby local home improvement store. Stores like Lowe’s and Home Depot are dog-friendly, spacious and filled with aisles – which means you can easily log a few thousand miles as you price out crafty projects or daydream about future home renovations. What’s more, your four-legged friend will get a chance to socialize with other pups and humans, and you may even make some great new friends for the both of you. High paw! 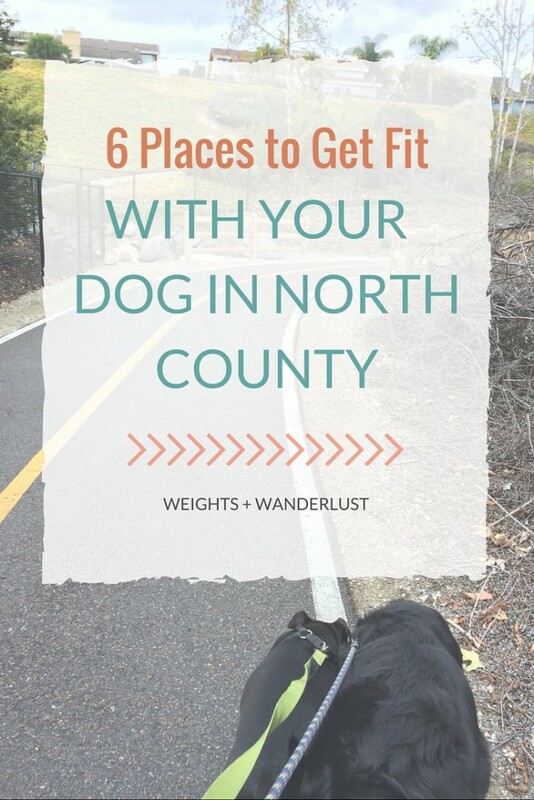 Where do you go to get fit with your dog? Drop your hot spots in the comments below! Hi! 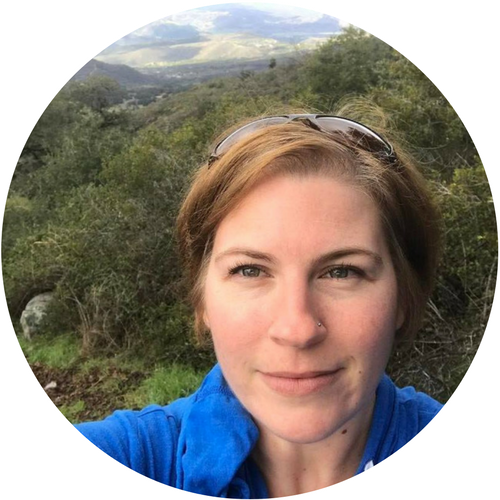 I'm Erica, and I believe all women can be active, healthy and happy at any age, size or budget. Join me on my #fitnessadventure! © Weights & Wanderlust 2015 | All rights reserved.